Campbell offers a discount of 50% on their first / introductory lesson! Do you find learning guitar confusing? Mobile Lessons in the comfort of your own home. All styles, ages and ability levels. I teach using Trinity College, Rockschool, RGT and Mel Bay Methods. Disclosure Scotland. Professional lessons. Fun but thorough. Please feel free to call me re. any questions or help with buying or renting instruments. Guaranteed results. References available upon request. Special offer for morning/afternoon lessons … generous discounted rates being offered… just ask !!!!!!! Its the time of year again when I can also offer printed gift vouchers for gift presentation for Birthdays, etc… I am a professional guitar teacher with many years of teaching experience. I am well known, not just for being a good musician, but for my passion and ability at teaching well structured understandable lessons. Lessons 9 am until 9 pm seven days a week. I have also experience in teaching students with special needs. Learn by grade, theory, technique or just songs you like. All lessons are tailored for your specific needs and personal goals. Covering all styles and genres. I can also assist in preparation for Rockschool, RGT & SQA Standard and Higher examinations. Lessons are taught in the comfort of your own home and are suitable for people of all ages and abilities. Beginners my specialty. Some practice and you'll sound good after just four lessons. Can also show you how to look after and maintain your guitar and I'm a wizard with Floyd Rose set-ups. My lessons enable my pupils to develop with confidence and enjoyment. Planning all lessons with precision and care, while creating a relaxed pleasant environment to teach. Making lessons interesting and fun, but most importantly guiding you to progress quickly and effectively, so that you feel confident in your guitar playing abilities. I am fully CRB/Disclosure Scotland checked for more information please feel free to contact me with any questions. Excellent references available. I can also advise on purchase and renting of instruments. When my son (11) wanted to learn to play the guitar we looked around for a tutor to teach him and are very happy to have found Campbell. I could write this review myself explaining how his playing has developed and progressed over the last 9 months and how good Campbell is at encouraging him etc. However since it is my son who is getting the lessons I asked him instead and he said: "playing guitar is cool, but playing with Campbell is much more fun." We would definitely recommend Campbell. Campbell is pleasant, patient and takes time with his students, nothing is ever a bother, my nine year old shouts Campbell's here the minute she sees his car, he is also teaching my 50 year old husband, and we have nothing but praise for him . Campbell has taught my son from the day he had his first Guitar. My son is not only able to play with confidence but at a level where if wanted has the ability to take on his own students at only 17years old. Campbell has been teaching my son for almost two years. Campbell is very professional and enthusiastic. My son enjoys his lesson very much. Campbell is good at motivating and encouraging my son to practice. I highly recommend Campbell as a guitar tutor. We have had Campbell as our daughter's tutor for over six months and he has helped her a great deal. He seems very thorough in his approach and more importantly he shares his love of the guitar and music and has increased her confidence no end. Successfully coached many students through SQA, Rockschool & ABRSM examinations. I have also taught those who want to enjoy playing an instrument for fun without the pressure of exams. I mainly teach 7 days a week in the daytime and evenings. Results guaranteed. I have had students from the ages of 4 to 85 from various levels of playing. Many of whom have reached their desired level of playing. I have even been invited by former successful students to hear them appear at T in the Park, Airdrie Stadium, etc. Whether you want to learn rock, R&B, metal, pop, , funk, jazz - I can help you! I'm a professional tutor in the West of Scotland area serving areas such as South Lanarkshire, North Lanarkshire and Stirling/Falkirk. I welcome anyone from beginner to intermediate level and from any age group. I've taught in schools, youth centres and privately for many years. I constantly evolve and adapt my own teaching methodology as I learn from each student. I have also successfully coached many students with special needs over my teaching experience. Flexible and fun lessons but thorough. All students learn to read standard music notation, tabs and improvisational skills. I believe that learning an instrument should be fun and enjoyable. I aim to make my lessons as productive and enjoyable as possible. I approach each student's needs and creative personalities differently. I am always available to help at no additional charge, If you aren't in a lesson and having trouble, Just send me a text and I'll try my best to help and get back to you asap. e.g. If you are having trouble with a song, style or technique I will send a short video showing the best method of playing it. For saxophone students One to one tuition in your own home, includes learning to read music / learning scales / improvising / how to practice / playing tunes / developing a good tone and most of all to make it fun. Music theory is a fascinating topic, which can enrich the learning experience - I can supplement guitar lessons with as much or as little theory as a student wants! I absolutely love my job and always hope to inspire my students with a passion for music. CampbellFrom Elizabeth (5/5): My dad had his first lesson with Campbell and he felt at ease and thought he was a very good teacher. He has had a few lessons before elsewhere but said it was more about them than teaching him. He is looking forward to his 2nd lesson which I am pleased about. Reply from: Campbell: Many thanks for your kind comments. Glad your Dad enjoyed the lesson. CampbellFrom Peter (5/5): First lesson today. Tutor was excellent, very knowledgeable and encouraging throughout. Look forward to next lessson. CampbellFrom Kenman (4/5): Very knowledgeable and very patient. He's very approachable when asked some questions. CampbellFrom Laura (5/5): Campbell is an amazing tutor regardless of your experience - in my case I had 0 and I already feel at ease and know I will be playing confidently in no time. Strongly recommend Campbell to anyone! CampbellFrom Pauline (5/5): Alex is enjoying learning to play the ukulele and is growing in confidence. He sent me a WhatsApp of himself strumming and playing a simple song so I am very pleased with Campbell and the outcome so far. Reply from: Campbell: Evening and Many thanks Pauline. CampbellFrom Des (5/5): My guitar tutoring sessions with Campbell are always very enjoyable and instructive. Campbell always explains things very well and gives lots of encouragement to me as a beginner. He Is a most pleasant person to have in my house, and he creates a very relaxed atmosphere for learning. CampbellFrom Chris (5/5): Campbell has been an amazing and insightful tutor. Considering on my first lesson with Campbell that I was a complete novice to guitar playing at any capacity, I am now able to not only play several songs but understand the basics of sheet music within just four sessions. Campbell is incredibly patient and tutors in a way that is both fun and easy follow. For the novice guitar player, as well as the more advanced, I would strongly recommend Campbell! CampbellFrom Graeme (5/5): Campbell is an excellent teacher. He is very patient and has a good way of understanding how to teach different skill levels. You can tell he still enjoys playing which makes learning better as he is just doing it as a job . CampbellFrom Chris (5/5): I've had my first lesson with Campbell, and I was very nervous before it, but he was brilliant at making me feel at ease. I admit he didn't teach me to play Rodrigo's Guitar Concerto, but he did make me believe that one day I may be good enough to give it a try. I'm really looking forward to my next lesson. Reply from: Campbell: Many thanks Chris and just printing off the sheet music for Rodrigo's. CampbellFrom Angela (5/5): Really enjoying my ukulele lessons with Campbell, my lessons are varied and at a pace that’s perfect for me. Campbell’s patient and encouraging, I would definitely recommend him as a tutor to anyone looking to pick up an instrument. CampbellFrom Wendy (5/5): My boys had their first lessons today with Campbell. Both for guitar, and my eldest for Sax too. My youngest is only 6 & had never even lifted a guitar but came out after only half an hour full of enthusiasm and confidence in the 3 notes he learned. My eldest has Sax lessons once a week in school but what a difference after half an hour with Campbell. Can’t recommend him highly enough. Reply from: Campbell: many thanks and glad the boys enjoyed the lessons. CampbellFrom Chris (5/5): I immediately felt I was in good hands with Campbell and look forward to learning from him with great confidence. CampbellFrom Gemma (5/5): My daughter is only 7 and she was a little nervous about going to someone’s house for lessons so it was ideal for us that Campbell would come to our house. The lesson was relaxed and fun and she is already playing a recognisable tune on her ukulele! CampbellFrom Jim (5/5): I have just had a very enjoyable first saxophone lesson with Campbell. As a 62 year old absolute beginner I was a bit apprehensive, however Campbell quickly put me at ease with his manner and attitude. I have been practising every day since my lesson and can produce a few notes - even a couple of recognizable bars. This is progress way beyond what I expected at this early stage. I feel enthused and am looking forward to my next lesson. CampbellFrom Michael (5/5): On first meeting was extremely pleased with Campbell. Explained everything clearly to me . Cant wait for next lesson. Would recommend him to anyone. Reply from: Campbell: Many thanks Michael. Delighted to have you onboard and look forward to coaching you towards mastering the Alto Sax. Looking forward to our next lesson. Love to Jackie. CampbellFrom James (5/5): I've had a few lessons from Campbell now, and it is going very well! 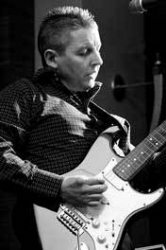 I am a fairly experienced guitarist at intermediate level, and Campbell has been able to show me new ideas and concepts in order to improve my playing. Well recommended. Reply from: Campbell: Many thanks for the feedback. CampbellFrom Janice (5/5): Appreciated prompt response from initial contact. Have now had my first ever saxophone lesson from Campbell which I really enjoyed. Found his patience and encouragement reassuring and am looking forward to my next lesson. CampbellFrom Steven (5/5): Day one of lessons for my 10yr old girl with Campbell teaching. Campbell made the first lesson a joy fro nyhe moment he walked in the door. Campbell made Cailin feel as if he’d known her for years and not before long I could hear Cailin playing away on the Saxophone. More importantly at the end of the lesson once Campbell left I found Cailin to be even more excited about the weeks ahead playing Saxophone and that’s simply down to how easy Campbell made the lesson for her. We will be looking forward to working with Campbell and watching Cailin develop with Saxophone. Might only be the first lesson but can’t recommend Campbell enough. CampbellFrom John (5/5): I really enjoyed my first lesson and I am sure we'll get on great. Your obvious skills, teaching ability and patience will be tested to the limit by me. I have total confidence that you'll be able to greatly improve my music. Looking forward to my next lesson. CampbellFrom Robert (5/5): Following our first lesson with Campbell both my wife and I were very impressed with not only his professionalism but his warm friendly manner. Having never read music, Campbell had us note reading in our first lesson. We very much enjoyed our time and looking forward to our next lesson. And would have no hesitation highly recommending him. CampbellFrom Anthony (5/5): Only had one lesson with Campbell, but I can already tell he is an excellent tutor. I have tried numerous times to teach myself guitar without any success. Campbell explains music in a way which is easy to understand and is also interesting to me. It is obvious he has a wealth of experience in many genres and will help you with stuff that you want to learn. Can't recommend him highly enough! When suits for your next lesson? CampbellFrom Liam (5/5): Campbell was great really knows his stuff. At ease from the word go. Looking forward to our next lesson. CampbellFrom Gary (5/5): Enjoyed our first lesson. Campbells's manner especially with my 9 year old son was excellent and he has told everyone about his first session. Looking forward to rock school in due course! CampbellFrom Julie (5/5): Instantly felt as ease with Campbell as did my 8 year old son. He is extremely patient and encouraging and explains everything clearly and in a way which is easy to understand. My son is thoroughly enjoying his lessons. Reply from: Campbell: Many thanks Julie for your kind comments and glad to be of service. CampbellFrom Katrina (4/5): Campbell has just started tutoring my son but he has enjoyed the sessions so far. Campbell is friendly, patient and enthusiastic. Reply from: Campbell: Many thanks Katrina and happy to be of service. CampbellFrom Walter (5/5): My son who has aspergers and wanted to learn how to play his guitar and although he has only had 2 lessons Campbell is very patient and good with him. Would definitely recommend Campbell as a tutor. Reply from: Campbell: Many thanks Walter for the kind feedback and looking forward to our next guitar lesson. See you this week. CampbellFrom Jo (5/5): Campbell is an excellent tutor. He is calm encouraging and very talented. My daughter really enjoyed her first lesson and can not wait till the next one. Reply from: Campbell: Many thanks. Feedback most appreciated. CampbellFrom Janice (5/5): Jamie has had two lessons from Campbell and has thoroughly enjoyed every minute. Jamie is 22 and has Asperger Syndrome, so building relationships is not easy for him. However, Campbell instantly put him at ease and he has enjoyed trying out all the various techniques that Campbell has given him to practice. Campbell is always on time and well organised - coming to our house is also a huge advantage for Jamie as it means he is being taught in a familiar place. We cannot recommend Campbell highly enough. Reply from: Campbell: Many thanks Janice and so glad Jamie is both enjoying his lessons and also progressing so well. CampbellFrom Anthony (5/5): Miriam had her first lesson with Campbell and was very happy .Campbell was very attentive and showed a good degree of professionalism. Miriam is looking forward to her next lesson. CampbellFrom John (5/5): I have found Campbell to be an excellent tutor, his lessons are always informal where I feel relaxed and he is always patient, allowing me to ask questions at any point throughout. His flexibility and home-visiting are important for me to work around my busy schedule. I am pleased I chose Campbell as my tutor to help me to learn my ambition of playing the guitar. Reply from: Campbell: Many thanks John and glad to be of help. CampbellFrom Jennifer (5/5): Campbell is very nice and gets on well with my daughter. His teaching style is great and makes everything easy to understand. CampbellFrom Louise (5/5): Very prompt reply to my initial request, Campbell has fitted into our hectic schedule, Campbell always arrives promptly, Scott is thoroughly enjoying his lessons with Campbell… Campbell has great teaching skills, highly recommend. Reply from: Campbell: Many thanks Louise. It's a pleasure teaching Scott.